Opt for this number if you are already obsessed with midi skirts. Wear this mid-length style with sneakers or sandals.These are defo' not your average pair of culottes! With a structured fit yet elasticized on the back of the waist, this pair will definitely be your go-to pair! 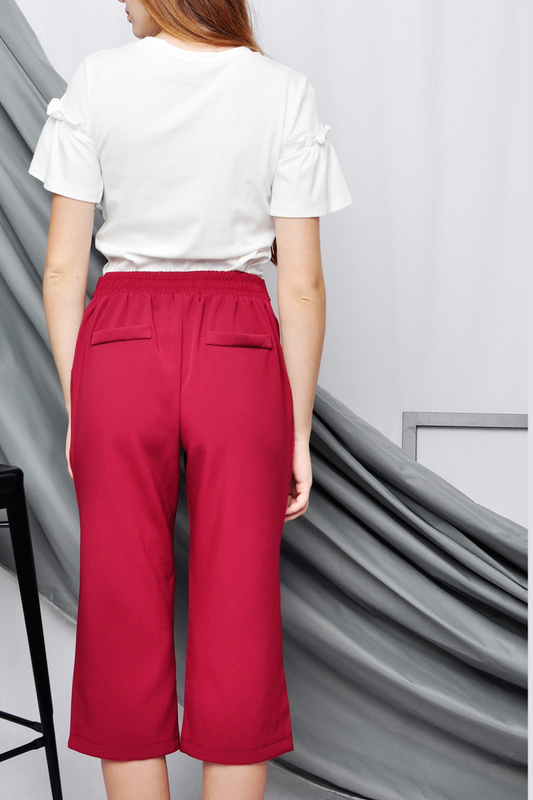 Give your work wear wardrobe that extra edge with these d-ring belted culottes - that will take you from day-night. This product is also available in Black, Steel Blue.